Quantitative MRI can identify placental dysfunction complicated by fetal growth restriction earlier, creating the possibility for earlier intervention to minimize harm to the developing fetus. A team of researchers has found that quantitative magnetic resonance imaging (MRI) can identify pregnancies where placental dysfunction results in fetal growth restriction (FGR), creating the possibility for earlier FGR detection and intervention to augment placental function and thus minimize harm to the fetal brain. The study, published online in the Journal of Perinatology, reports for the first time that in vivo placental volume is tied to global and regional fetal brain volumes. Placental insufficiency is a known risk factor for impaired fetal growth and neurodevelopment. It may cause the fetus to receive inadequate oxygen and nutrients, making it difficult to grow and thrive. The earlier placental insufficiency occurs in a pregnancy, the more serious it can be. But detecting a failing placenta before the fetus is harmed has been difficult. One additional challenge is that a fetus may be small because the placenta is not providing adequate nourishment. Or the fetus simply may be genetically predisposed to be smaller. Being able to tell the difference early can have a lifelong impact on a baby. Infants affected by FGR can experience behavioral problems, learning difficulties, memory and attention deficits, and psychiatric issues as the child grows into adolescence and adulthood. Dr. Andescavage’s research focus has been how fetal growth affects labor, delivery and postnatal complications. 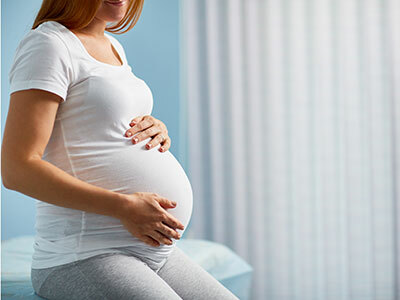 “Our study proved that MRI can more accurately determine which pregnancies are at greater risk for impaired fetal health or compromised placenta function,” says Nickie Andescavage, M.D., the study’s lead author. In the study, the team measured placental and fetal brain growth in healthy, uncomplicated pregnancies and in pregnancies complicated by FGR. A total of 114 women participated, undergoing ultrasound, Doppler ultrasound and MRI imaging to measure placental volume and fetal brain volume. An ultrasound test is often what detects FGR, but the measurements generated by ultrasound can be non-specific. In addition, reproducibility issues with 3D sonography limit its use as a standalone tool for placental assessment. Once FGR is detected via ultrasound, this study showed that complementary MRI provides more accurate structural measures of the fetal brain, as well as more detail and insight into placental growth and function. In addition, FGR-complicated pregnancies that also showed abnormalities in Doppler ultrasound imaging had even smaller placental, cerebral and cerebellar volumes than pregnancies complicated by FGR that did not have aberrations in Doppler imaging. Since this study showed that quantitative fetal MRI can accurately detect decreased placental and brain volumes when FGR is present, Dr. Andescavage believes this imaging technique may give doctors important new insights into the timing and possibly the mechanisms of brain injury in FGR. “Different pathways can lead to FGR. With this assessment strategy, we could potentially elucidate those,” she adds. Using quantitative MRI to identify early deviations from normal growth may create opportunities for future interventions to protect the developing fetal brain. New treatments on the horizon promise to address placental health. MRI could be used to investigate these potential therapies in utero. When those therapies become available, it could allow doctors to monitor treatment effects in utero. 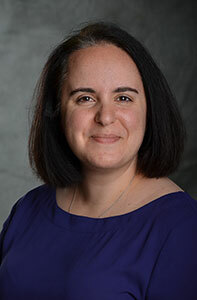 Study co-authors include Adré J. du Plessis, M.B.Ch.B., M.P.H., Director of Children’s Fetal Medicine Institute; Marina Metzler; Dorothy Bulas, M.D., FACR, FAIUM, FSRU, Chief of Children’s Division of Diagnostic Imaging and Radiology; L. Gilbert Vezina, M.D., Director of Children’s Neuroradiology Program; Marni Jacobs; Catherine Limperopoulos, Ph.D., Director of Children’s Developing Brain Research Laboratory and study senior author; Sabah N. Iqbal, MedStar Washington Hospital Center; and Ahmet Alexander Baschat, Johns Hopkins Center for Fetal Therapy. Research reported in this post was supported by the Canadian Institutes of Health Research, MOP-81116; the National Institutes of Health under award numbers UL1TR000075 and KL2TR000076; and the Clinical and Translational Science Institute at Children’s National.